New to Empire Avenue, or just need an excuse to buy back as many people as buy you? 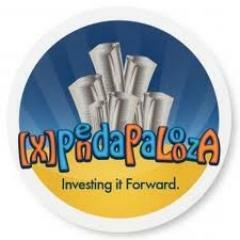 The self built Empire Avenue community [X]Pendapalooza event is on again this weekend. This event is in its 9th iteration and we are very thankful to the community who started and have driven this event since 2010. I have borrowed, well stolen the copy from Omar's Facebook post to give it a push here on our blog and I will blast an email out later to help give it a push. to the Empire Avenue data base. http://www.timeanddate.com/worldclock/ This is THE EVENT to get your stock noticed and REALLY network with folks on Empire Avenue. An OUTSTANDING event for newer Empire Avenue members. Established Empire Avenue members PAY IT FORWARD. Go join group today so you will be ready to play!http://www.empireavenue.com/community/page/discuss/?c=3362 Questions? Send private message to (e) EDUPRENEUR on Empire Avenue. To mark this great occasion and to give the longer term members a helping hand we are launching Pie 12 too! We now have Pie Upgrades that will allow you to take the maximum you invest in someone to 1200 shares using upgrades. And of course, the current More Dessert and Even More Dessert Bonuses are still active, previous Dessert Bonuses you've used will now be active even with the new Pie which means you might be able to go to 1400 shares in someone.